The Splashers are in great danger. The quiet and peaceful workers from Inkorp are being led to their doom by the greedy Docteur, the paint factory’s evil boss. A young hero rises to fight for what’s right. Armed with a splatter cannon, he launches an attack in order to save the Splashers and stand up to the dictator. His amazing paint cannon grants him color superpowers; he can stick to the wall, bounce, or attack enemies. Learn from your mistakes to find the best path and get the best time in order to perfect the level. 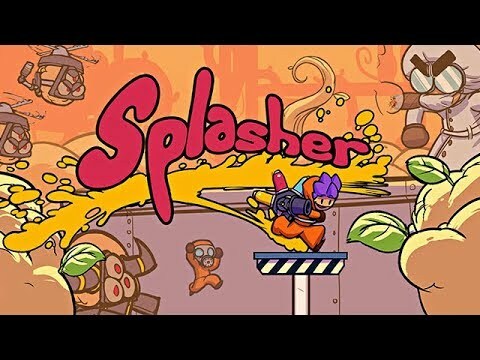 Brave the traps and beat the gigantic factory’s security devices in Splasher. Possess and take control of heroes to help the Vikings save their realm.